When it comes to ranking cute animals with clumsy legs, then a giraffe definitely ranks top on the list. 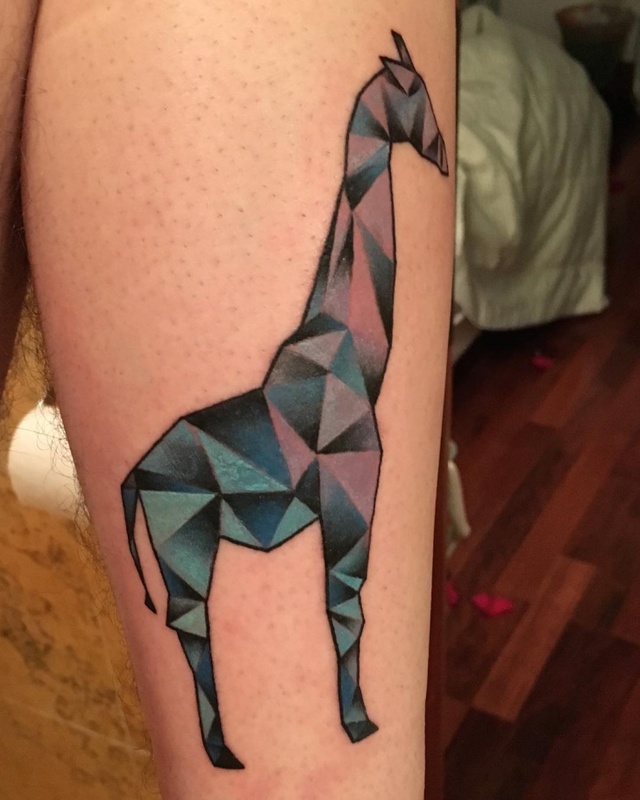 However, the diversity of meanings is what makes a giraffe tattoo unique and rare. 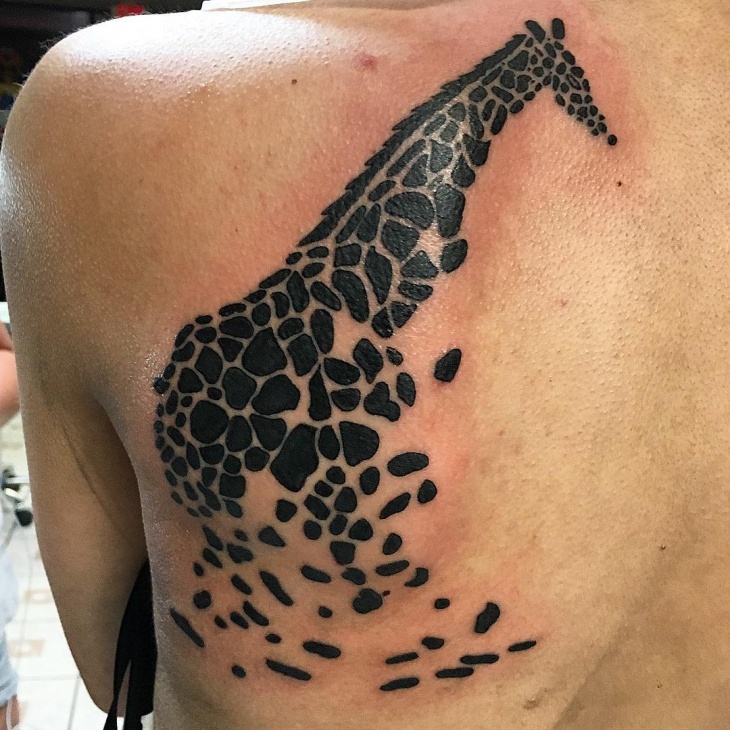 So whether you want to portray an African tribal tattoo using a giraffe or its spiritual foresight traits, there’s a giraffe tattoo design to suit you. 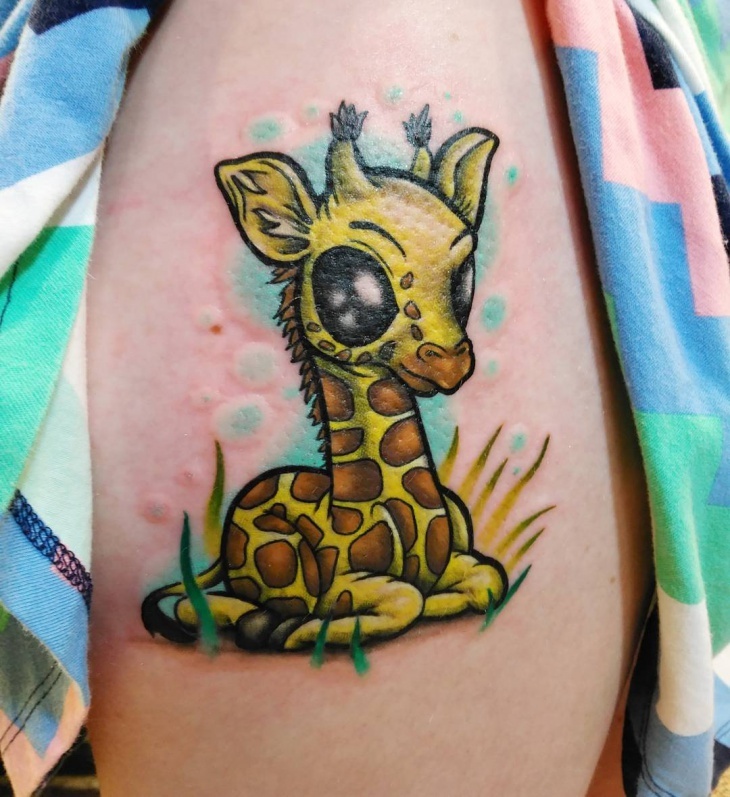 The contrasting yellow and brown color of a baby giraffe makes this tattoo perfect for kids or teenagers of all genders. 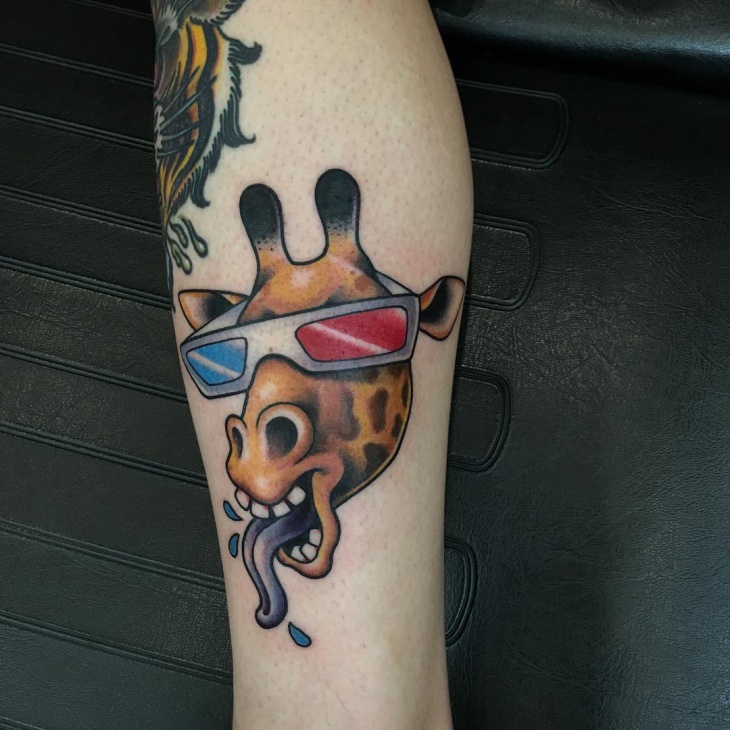 Go for a zombie giraffe tattoo with eyes defined by a black ink and a creative light blue background. 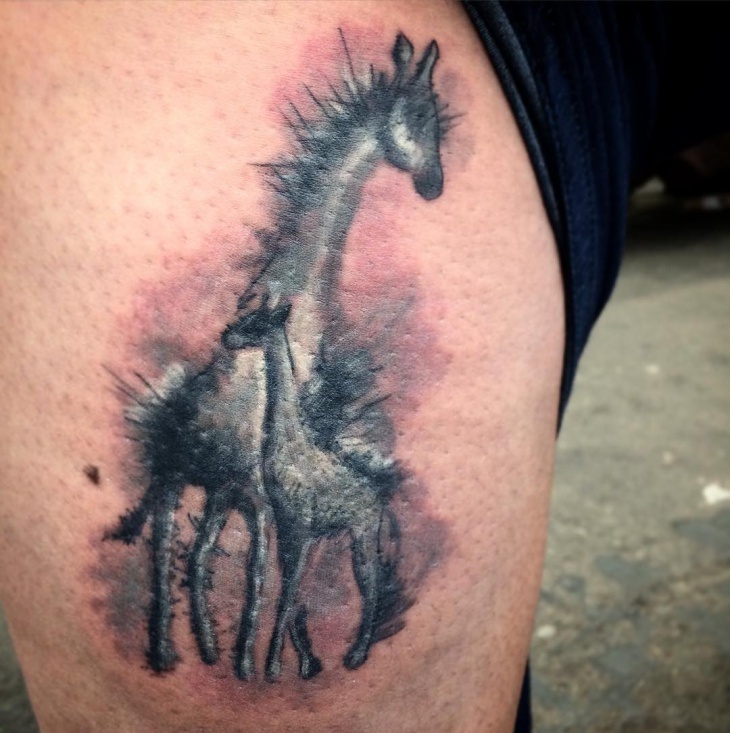 Bring out your creativity side by opting for a giraffe on fire tattoo. 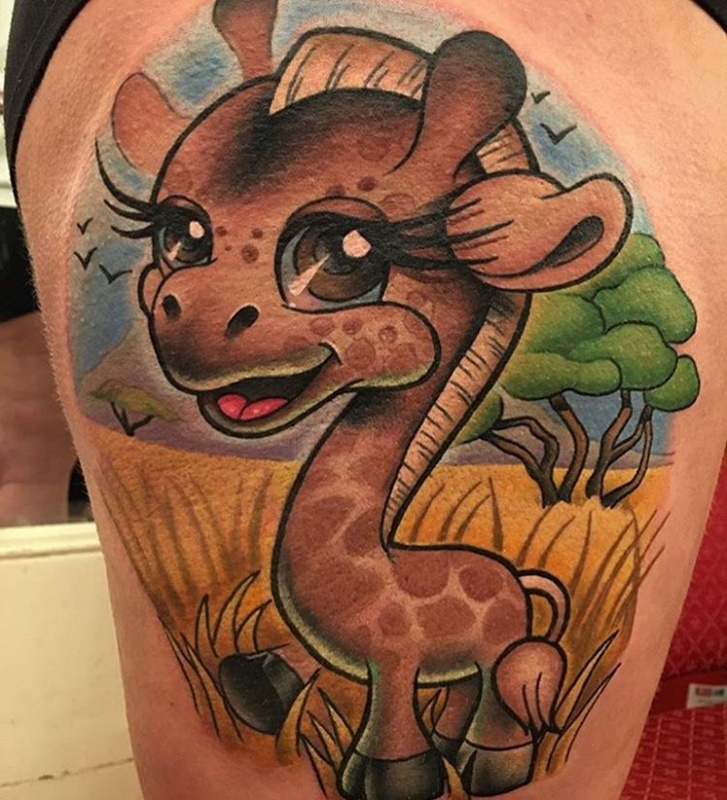 The pencil sketch design will blend with a pale skin tone while combining a baby and mom giraffe gives the tattoo a unique meaning that parents can appreciate. 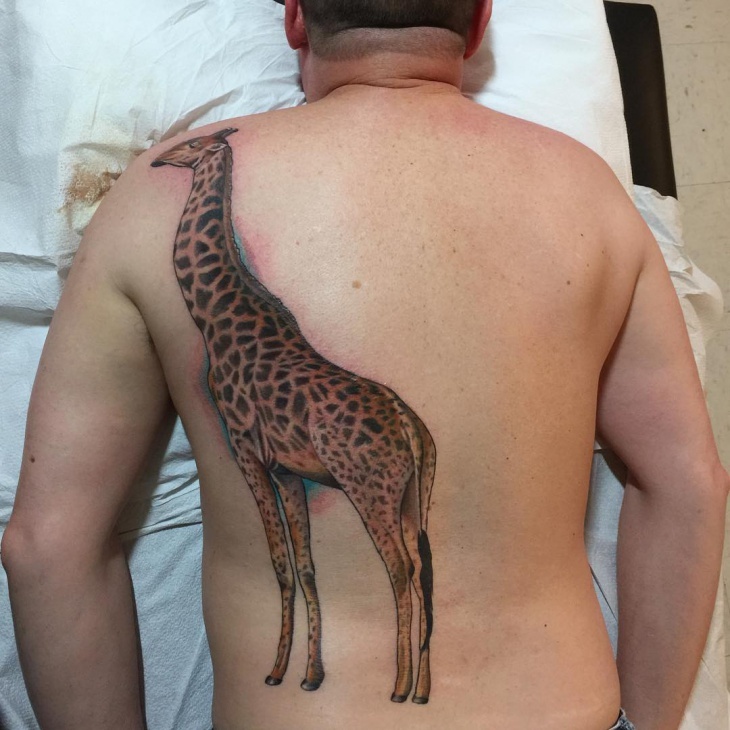 If you love tribal tattoo, then go for an African tribal giraffe tattoo. While a lion describes leadership traits, you can opt to use giraffes legs or neck to represent strength and endurance . 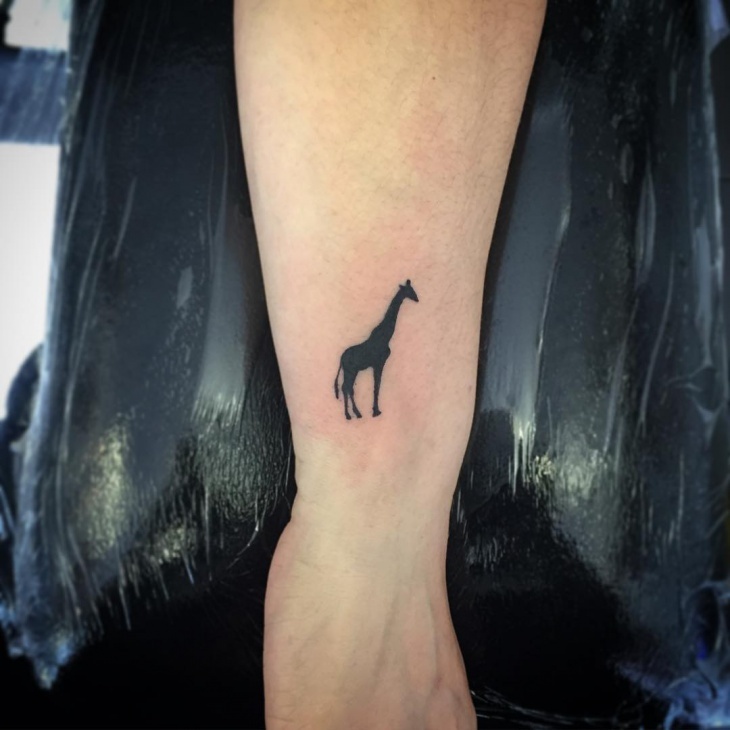 Opt for a giraffe tattoo to depict your elegant trait. 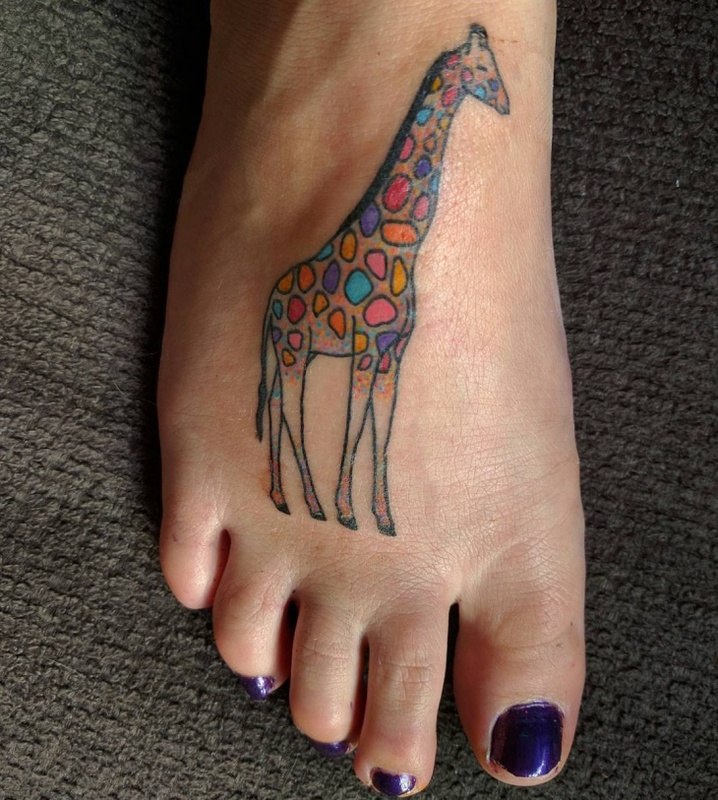 The ability to incorporate more than two colors in a watercolor giraffe tattoo makes this design ideal for both males and females who want to portray a fun personality. 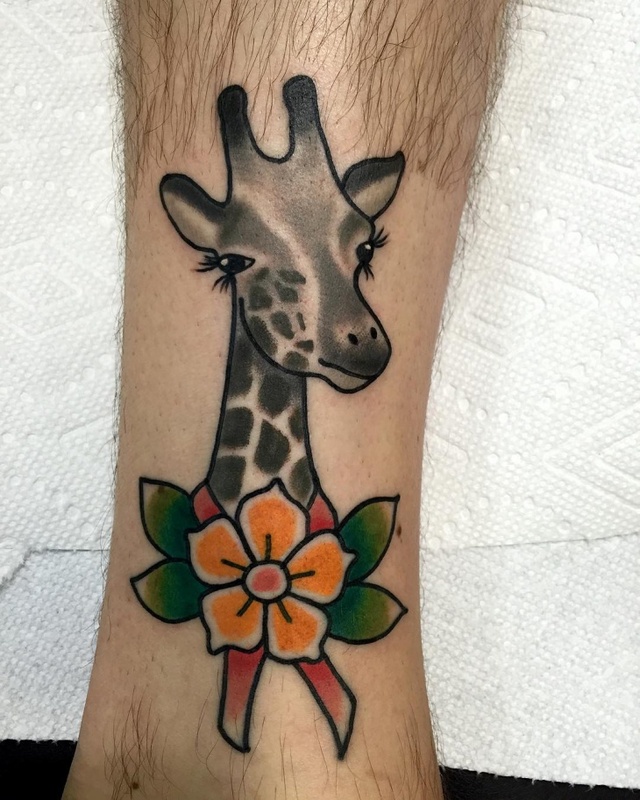 Poise and beauty are what a giraffe or a cat tattoo depicts. 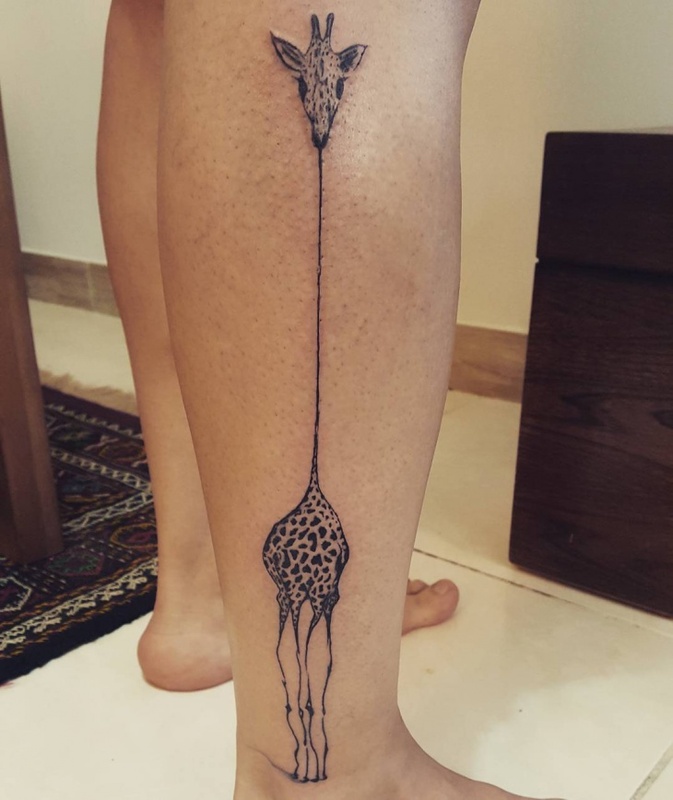 You can define your legs by opting for a geometric giraffe tattoo designed using black ink. 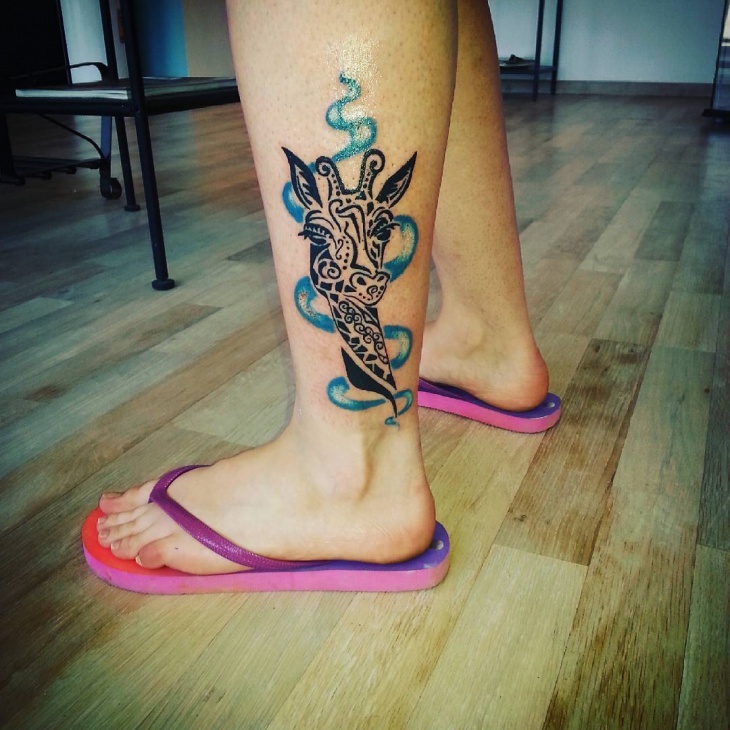 The intricate design makes the tattoo perfect for both young and mature individuals. 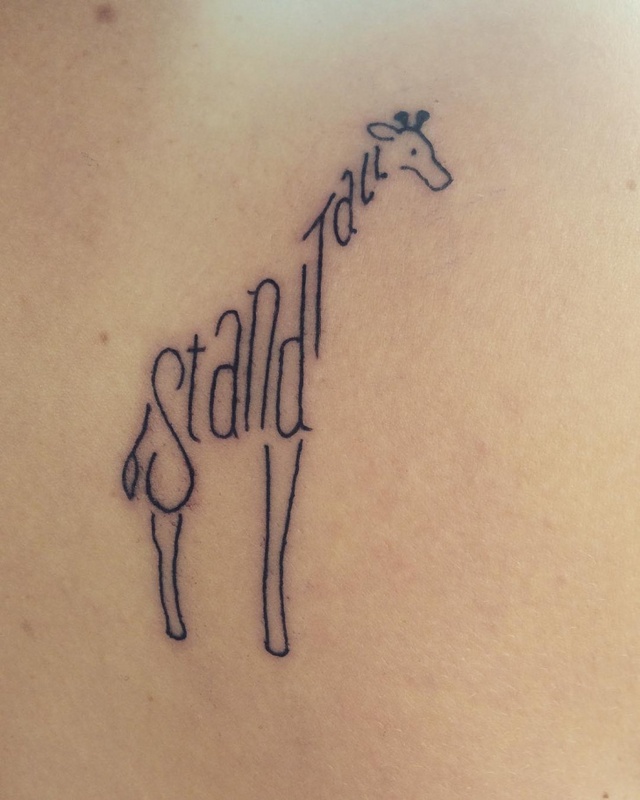 If you’re looking for a simple tattoo with an inspiration quote, then a stand tall giraffe tattoo is just what you need. This tattoo is perfect for both men and women who had the courage to overcome life obstacles. Small tattoos on the hand can be hidden easily with a long sleeved shirt in case you need to attend an interview or a formal event. The deep shading and size of this tattoo make it perfect for girls or young ladies. 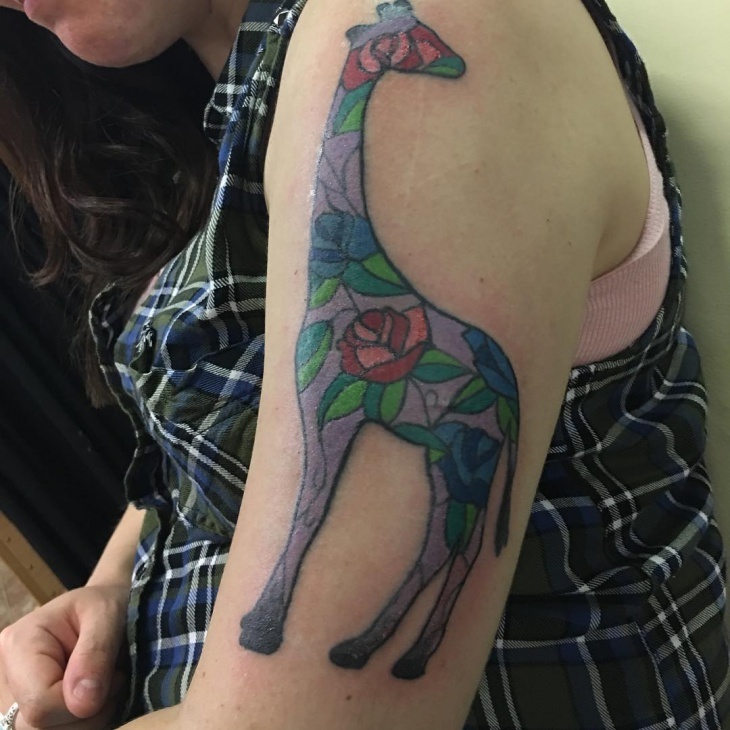 Roses are a symbol of romance and what better way to show dependability than through a rose giraffe tattoo. Opt for stained glass design to give the tattoo a vintage look that can complement any casual outfit. 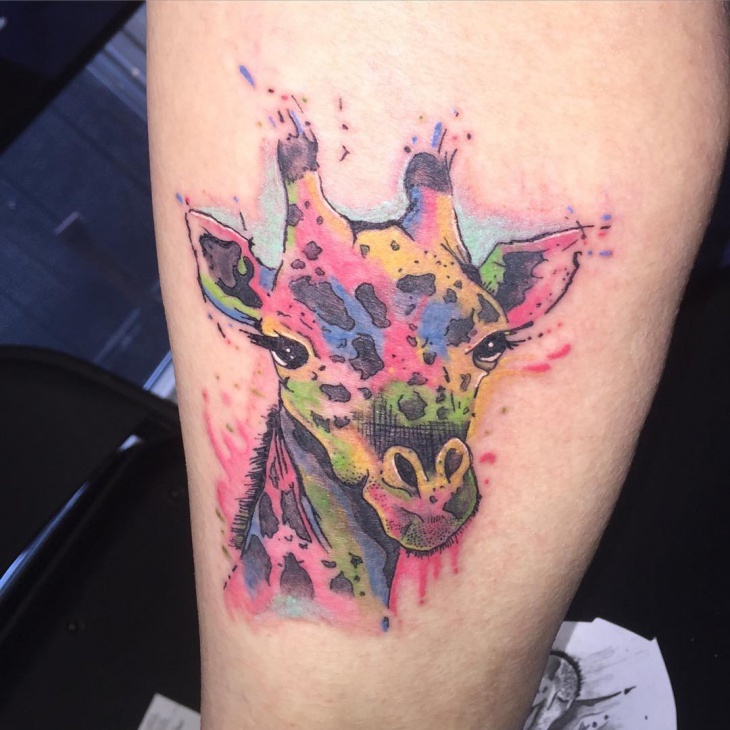 A giraffe tattoo made using neon colors is the best representation of creativity and vision. Complete your giraffe face tattoo by adding a leaf necklace and colored gemstone on the forehead to give it that royalty or elegant aspect. 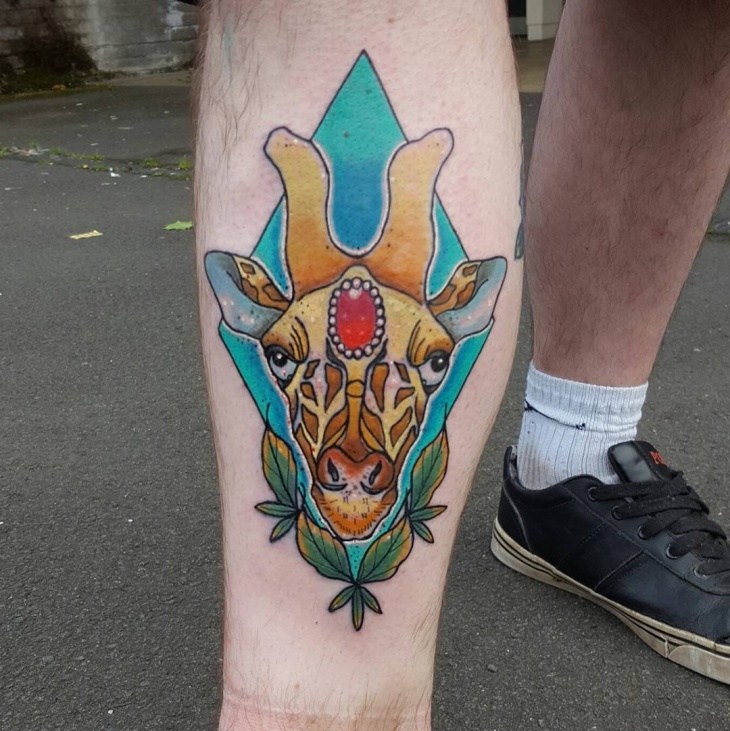 While a zombie tattoo can be intimidating to most people, a cute giraffe tattoo will give you positive comments. The contrasting background and bold colors make this tattoo a cool back to school present. 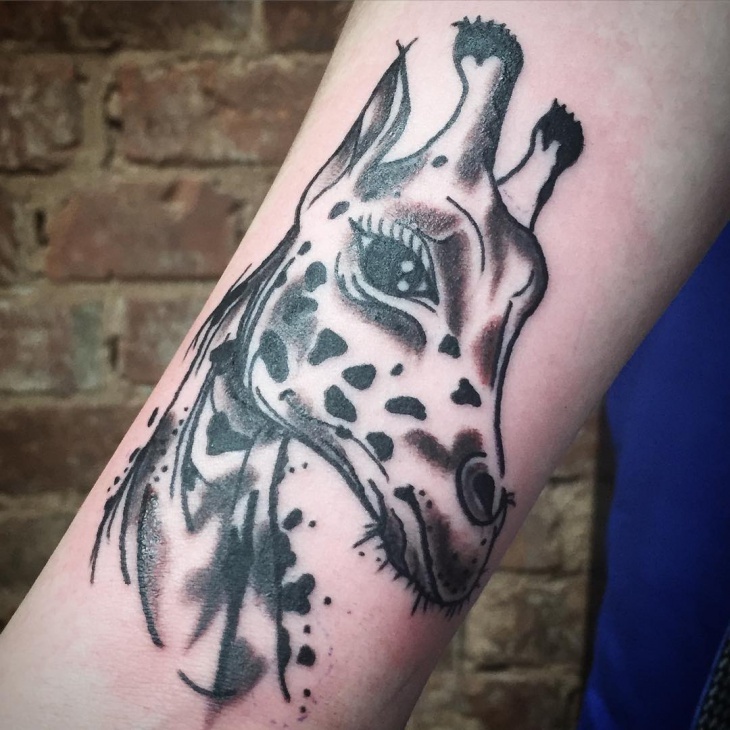 When it comes to giraffe tattoos the meaning that you want to portray, will determine the type of design to choose. If you’re not sure about size, then go for a small tattoo either on the wrist or legs. 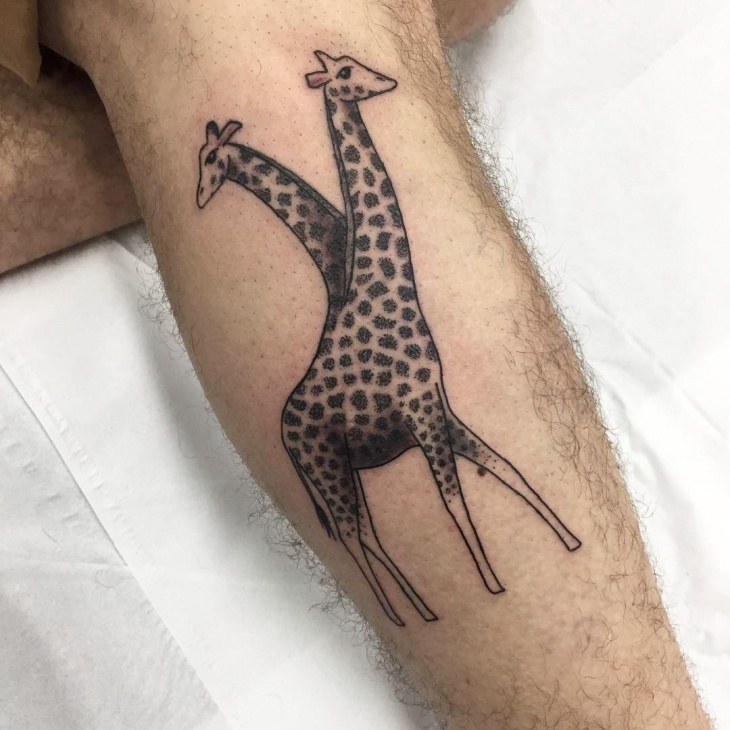 To describe elegance and vision go for a giraffe tattoo with a long neck. 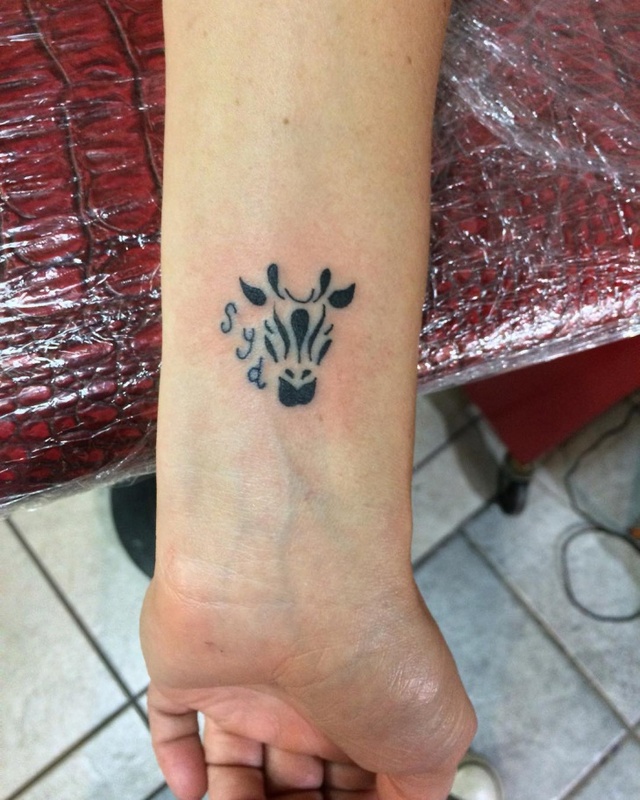 While a zombie tattoo can elicit both negative and positive comments, a cute giraffe ink art will give you admiration. 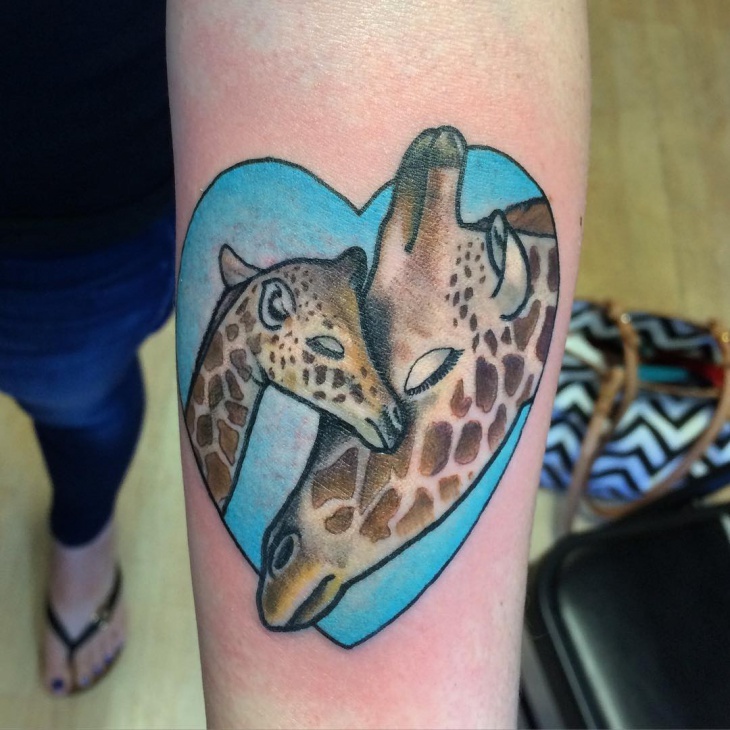 The ability to have a giraffe tattoo in multiple hues helps both men and women of all ages to express their unique meaning. 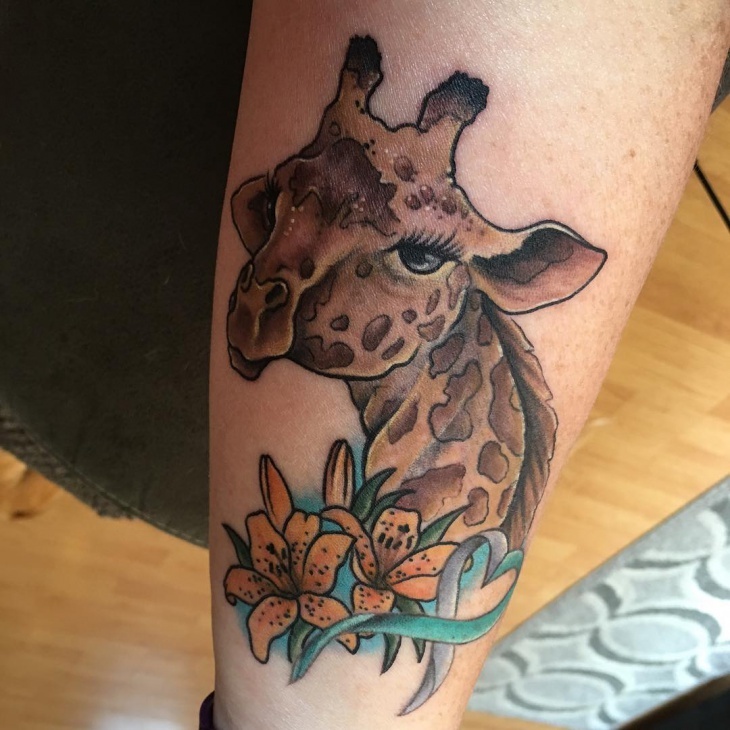 So, whether it’s a watercolor giraffe or a simple giraffe art with a rose; get creative and get yourself one of these rare tattoos.